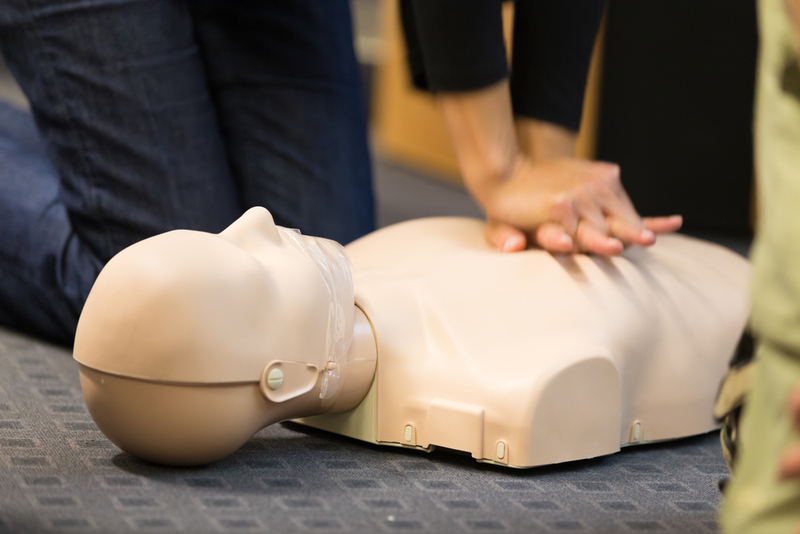 HomeBlogWhy Opt for Onsite CPR Training? We know that CPR is important – it saves lives! From healthcare professionals to preschools and more, CPR and first aid safety training are required for employment. Both online and onsite CPR training classes have unique advantages. It’s important to do your research before registering for your course. Sometimes an online class may seem like the easiest solution, but taking your course in a classroom setting can have numerous advantages. Let’s look at some of the most popular reasons students decide to take CPR training courses on campus. Learning CPR in a classroom setting gives students a chance to practice with a CPR mannequin instead of relying on reading material alone. Everyone learns differently, and you might discover that you retain the information more effectively through hands-on training with a professional. Take advantage of the opportunity to ask as many questions as you like to the expert instructors available to you. They are there to teach but also to make you feel comfortable enough to speak up if something needs to be clarified. A computer course might make that way of learning more challenging for some people. Protip: When someone goes into sudden cardiac arrest, you’re going to want to have confidence in your CPR training. Sometimes in-person instruction is the best way to help you prepare for the real thing. Onsite CPR classes give you a great chance to learn from others. There may be someone in your class who asks a question that may have never occurred to you. If you’re getting re-certified, you can master your CPR skills by giving pointers to someone who may be taking the course for the first time. In a class setting, you can ask your instructor to provide you different scenarios that would require you to perform CPR, and have the instructor critique your skills. This will help you perfect your performance as you practice for a real life-threatening event. Many onsite training programs offer instruction at either their location or yours. If you’re a business owner, you can provide group training to your employees at your place of business for convenience. Taking a CPR course with your coworkers can also be a team-building experience you will enjoy. Is Onsite Training Best for You? Still not sure whether onsite CPR training is the best choice for you or your employees? It’s important to take the time to weigh your options and choose the format that will provide the most beneficial training experience. Join the conversation to speak with our expert CPROLOGISTS® to learn more about the benefits of classroom instruction.